Home Android android 7.0 One Plus 3 Oxygen OS How to Install and Download Oxygen OS 3.5.5 (Android Nougat) On OnePlus 3? 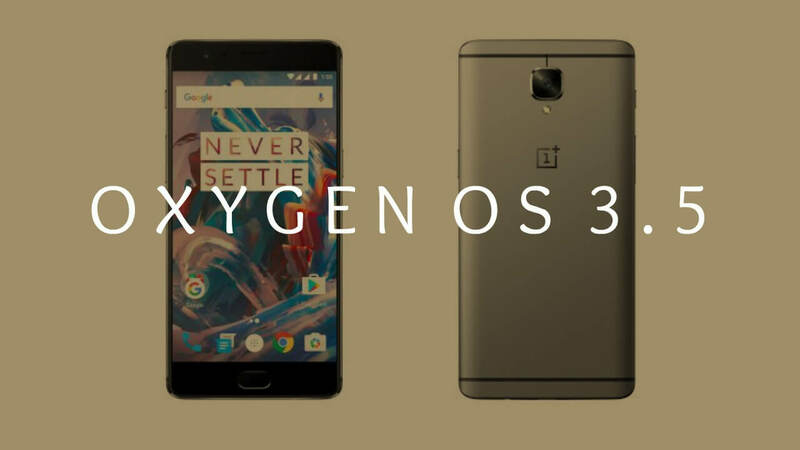 How to Install and Download Oxygen OS 3.5.5 (Android Nougat) On OnePlus 3? The well known Chinese manufacturer OnePlus has now stepped into upgrading its flagship phone OnePlus 3 with a new community build Oxygen OS 3.5.4 and many new features. This is followed by the community build for the OnePlus X that was released just this week with Oxygen OS version 3.1.0 based on the latest Android 6.0.1 Marshmallow. The OOS v3.5 for the flagship device brings a great deal of features, functionalities and revamped system UI. Well, we would have wished Oneplus has brought us Android 7.0 Nougat firmware or just some of its features. However, it may take some time for the development team to release it at this moment. So Oxygen OS 3.5 is still based on the stable Android 6.0.1 Marshmallow. Though, it comes with a newer AOSP source; most likely August 1. OnePlus has also promised Android 7.0 nougat for OnePlus 3 and OnePlus 2. UPDATE: Oxygen OS 3.5.5 & Oxygen OS 3.5.4 community build is now available for OnePlus 3. Download now! The Oxygen OS 3.5 community build will upgrade your device with new and improved OnePlus apps like clock, weather, and file manager. It also brings revamped UX with an enhanced camera software as well. The settings have been updated with more customization features. Now, you need to remember that this is a community build. That means it is for beta testers who would like to run the new software from the manufacturer before the official launch and help the development team with feedback and bugs. So you must know that there are several bugs and issues with the software at this moment including Android Pay, some performance issues, UI issues, etc. You can check out the changelog and bugs report from below. Moreover, you should be on the latest official Oxygen OS 3.2.4 for OnePlus 3 before you proceed with the upgrade. So hit the download section below and proceed with the installation instructions. 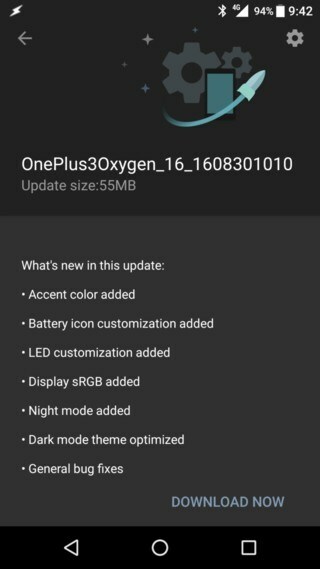 What’s new with Oxygen OS 3.5.5? Integration of Google Map to share locational information in messages. 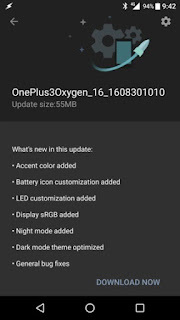 What’s new with Oxygen OS 3.5.4? These are just some features that the community build brings. More features will be update with the with newer builds. If you want to report issues/bugs, please fill up the form on this page and bug report from here. Note: If you flash this community build, you’ll continue receiving the community over-the-air (OTA). However, you won’t receive the official ones. For that, you’ll need to manually flash (restore back to stock) back to the official builds to continue receiving official OTAs. Roll back to official Oxygen OS version may require you to wipe data, cache, etc. Check out the above link (full rom file). It will do. How to Install Oxygen OS 3.5.5 Community Build on OnePlus 3 via ADB sideload and stock recovery? The following tutorial will let you flash the latest Oxygen OS 3.5.5+ community build onto your precious OnePlus 3 device. Before you proceed, make sure your device runs on previous community build OxygenOS 3.5.5. The following tutorial consists of 2 methods to install the ROM. One is via stock recovery and other via ADB sideload (OTA update). Flash the OTA using ADB sideload method. This is the manual method for installing the OTA zip file on most of the Android devices. 1. Verify your device for compatibility. The listed firmware is compatible with OnePlus 3 device only. 2. Enable USB Debugging on your device. To do so, go to Settings>About Phone> Tap on the Build Numberseveral times until you get a new Developer Options in the Settings. Open Developer Options and enable USB Debugging from there. Trust the connection by allowing it when you connect it to your PC for the first time. 4. For ADB and Fastboot download the quick ADB and Fastboot Installer from here for Windows users and easily setup ADB and Fastboot on Mac OS, Linux or Chrome OS from here. Step 1: Download the OTA/Full ROM file for Android Watch. You don’t need to extract the file, just place the file on your PC where you can easily locate it. Step 5: Now, navigate to the location where you have placed the OTA file on your PC. (You may rename the OTA file to a simple one, like ota.zip. While the folder with the ota.zip file is open, flash the OTA by issuing the following command.) It is recommended you leave the name of OTA as it is and type the exact name with its proper extension. Step 6: Here, ota.zip is the name of the file. So use, adb sideload <file name>.zip Now the OTA will start installing. Once the installation completes, you can now enjoy your new firmware. Alternatively, while, on Mac OS, you can issue “./adb sideload ota.zip” command or on Linux type “sudo adb sideload ota.zip” to flash the OTA. Take a look at the discussion from here and the source from here. Thanks for reading this post. If you face any issue then comment below i will try my best to solve your problem. Please share this post with your friends.